Win 2 pairs of tickets to Weather Festival in Paris – The global community for audio culture. Paris is beautiful. But the guys at Weather Festival think it would look even better by bringing over 13 000 people for 18 hours of non-stop music on two amazing dance floors. Get ready to experience Paris like you’ve never seen it before! Tempted yet? Hold on, we can help. For a chance to win 2 x 2 tickets to the festival plus 8 vinyl records from the Concrete label email joe+weatherfestival@mixcloud.com with the subject line ‘Weather Festival WIN’ and tell us why we should give them to you. Feel free to let your French go wild! The crew chose 3 very special places to illustrate the Weather Festival in which 4 huge parties will take place during the three days. Eight official events in total will take place during the festival and the other places. Particular attention will be paid to design and decoration, installations or mapping, Vj’ing and lights will combine around a unique scenography thought for the occasion. 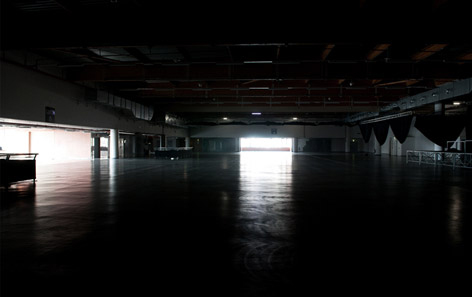 For this event, more than 70 tons of technical equipment and over 300 speakers will be necessary to equip, inspire and transform this industrial palace into an electro cathedral. Friday 17th and Sunday 19th, Weather Festival is welcoming you in a very special place in the heart of Paris on the Quaker. 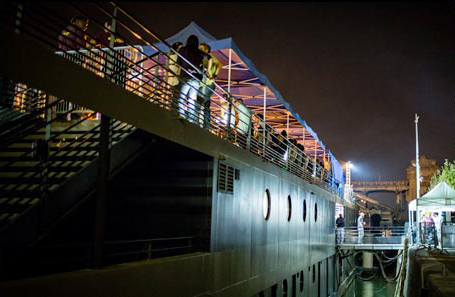 Board aboard the European largest barge for two amazing musicals sessions on two floor !